Every baby is different and for some the teething process has very little effect on them, for others however teething can be a very painful and distressing experience. 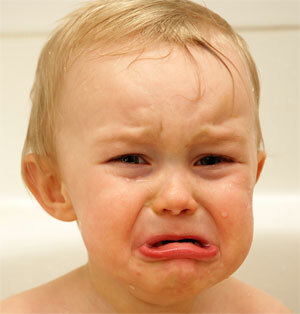 Teething is a very important milestone in an infant’s life but it can make them irritable and upset. Learn how to spot the first signs of teething and help ease some of the discomfort with some expert advice. 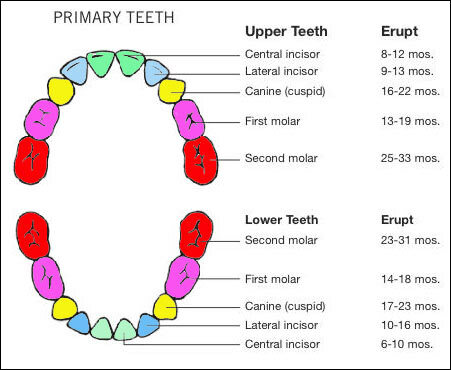 Some babies are born with their first teeth (known as milk teeth) but in most babies these teeth start to emerge through the gums at a later stage; this process is known as teething. The pain is caused by the movement within the developing jaw bone as the new teeth come through; some come through easily whilst others cause discomfort, but once through the pain will stop. For some babies teething starts as early as four months old, but with others it can be as long as 12 months - it really does vary with the child. The majority of children will have all of their milk teeth by the time they are two and a half years old. 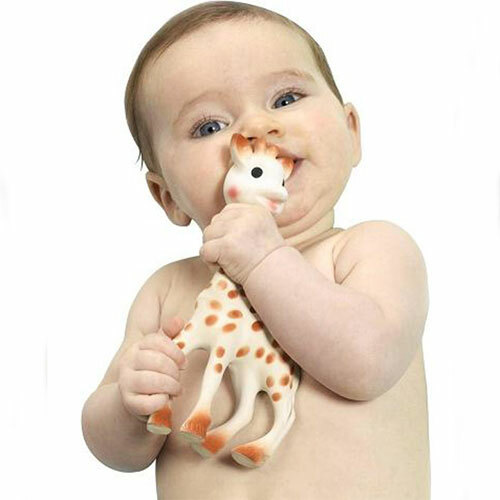 Some babies will show little symptoms of teething whereas others will be more obvious. Crying and restlessness are tell-tale signs and some babies break out in rashes on their chins and body due to increased dribbling. One sign is that they start to chew their own fingers or toys or have a slightly raised temperature. Gums may become reddened, swollen and tender and they may be reluctant to eat and have a poor appetite. The key is not to panic, teething is a completely natural process and luckily there are some things you can try to help your baby through this painful process. If your baby has a very high temperature, seems very poorly and you are concerned for their wellbeing, obviously you should contact your GP straight away. 1) Teething rings are great to give them something hard to chew on safely as a distraction to the pain. Cool them in the fridge beforehand but never put them in the freezer. 3) You can purchase special sugar-free gel which contains a mild local anaesthetic to numb the pain. 4) Give them something to chew on like teething biscuits, fruit or vegetables, apple and carrot are ideal but make sure you supervise them when eating. 6) If your baby has a raised temperature, medicine like Calpol can help. 9) Simply comforting your baby with cuddles and kisses can give them the reassurance they need or alternatively, distract them by playing. Teething can be a worrying time for you and your baby but follow these top tips and ease your little one of some of the pain.